Enjoy the classic detailing of our Round Fire Table modeled after our Nautical Trestle Dining Table. 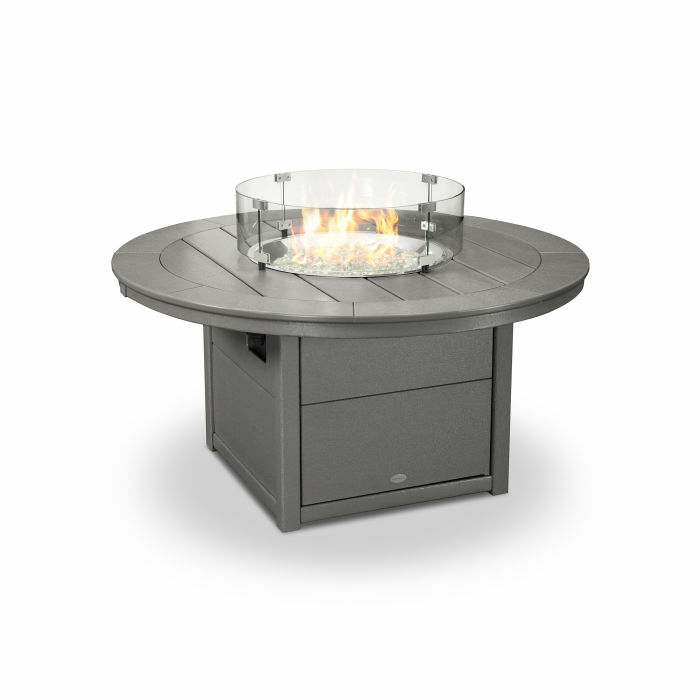 Fire tables are safe to keep on wood decks, concrete patios, and most other outdoor surfaces. Our fire tables are durable and weather-resistant: if it rains the water will naturally drain from the burner bowl. The largest of our POLYWOOD® fire tables has enough space for the entire family to enjoy a safe and hassle-free outdoor fire. All it takes is the push of a button to generate a warm, glowing fire with an adjustable flame height. Relax with the family under a starlit sky and break out the snacks - the Round Fire Table has plenty of room for drinks and treats!